The mission of the WICSA Conference Series is to be the premier means of communication and advancement of research and practice in software architecture, from both academia and industry, worldwide. ICSA = WICSA + CompArch! Eltjo Poort (Steering Committee and WG 2.10 member) is the winner of the first Linda Northrop Software Architecture Award. 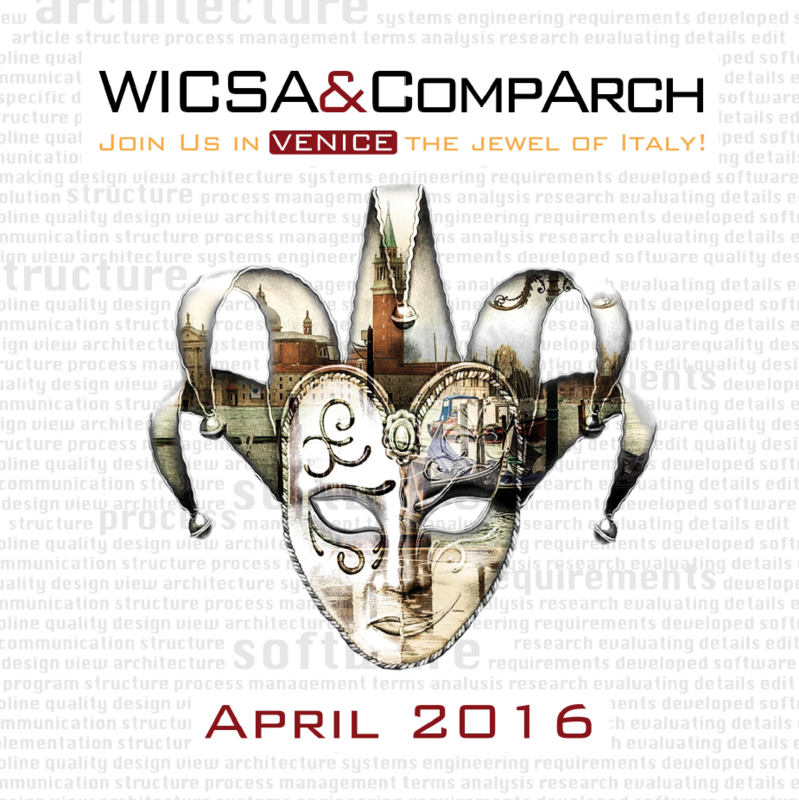 WICSA 2016, the 13th conference in the series, was held 4–8 April 2016 in Venice ITALY, in conjunction with CompArch. Resources for The Software Architecture Portal provided by Olimpia.com.